Hey! Hello! – Black Valentine free for limited time! It’s Valentine’s Day, and to celebrate, Hey! 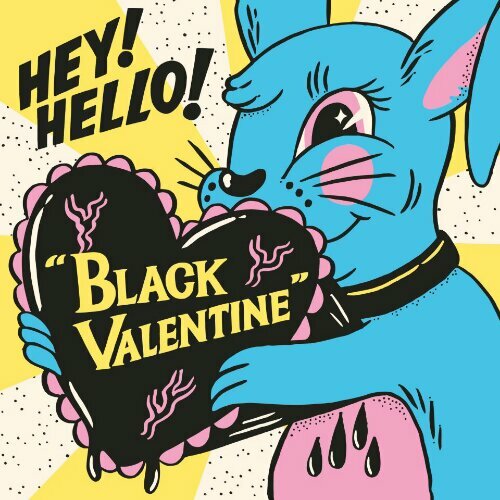 Hello!, the new project by The Wildhearts and all round solo genius Ginger and Victoria Liedtke, have presented a Valentine’s Day gift with a name-your-price download of the track ‘Black Valentine’. As usual, it’s a quality pop rock gem with great interchanging vocals between the two. But be quick, it’s for a limited time only and won’t be as cheap as you like forever! Head here for the catch. ‘Black Valentine’ is taken from the forthcoming album ‘Hey! Hello!‘, which will be released soon through PledgeMusic. Any of you non-pledgers will be interested to hear a commercial release of the album is to come in April. More info via Hey! Hello!’s Bandcamp page.